Our cosmetic dentistry services will help you get bright smile with perfect white teeth! Contact our office to book a consultation or an appointment! Beautiful smile is not possible without healthy teeth and gums! During your first visit, Dr Davidson will examine the health of your gums and other teeth to evaluate the best solution for you. You and your family deserve quality family dental care. We are a caring, friendly team of dental professionals committed to providing a comfortable dental experience. Our goal is to meet the dental needs of your entire family. We will take time to discuss your family’s dental needs and then help you overcome any discomforts, you might have about visiting the dental office. We use root canal treatments to repair and save a tooth that is badly decayed or infected. 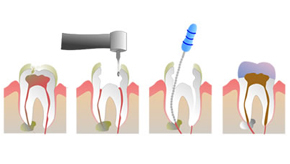 During a root canal procedure, the nerve and pulp is removed and the inside of the tooth is cleaned and sealed. A crown is usually recommended to restore the tooth. Dental implants are small screws made out of titanium to replace missing teeth. Titanium is the only metal we know that the body accepts and allows bone to grow in and around it. 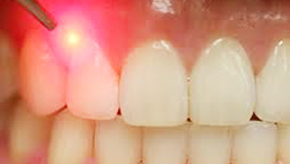 Chances are that you or a family member may be considering laser dental treatment. Dental lasers help us diagnose and treat soft-tissue procedures such as non-invasive gum treatments. 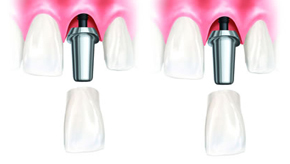 Dental bridges are fixed prosthesis which are usually composed of two abutments. When needed this type of fixed dental prosthesis can replace more than one missing tooth. Naturally looking dental crowns. We will do our best to preserve your teeth and make them look good at the same time. Planned root canal procedures and emergency services. Diagnostics at the early stages. Full range of dentistry services for the entire family. With us you will love your visits to the dentist. Family Dentistry, Implants, Crowns, Bridges & Root Canal in Thornhill 5 out of 5 based on 5 user ratings.